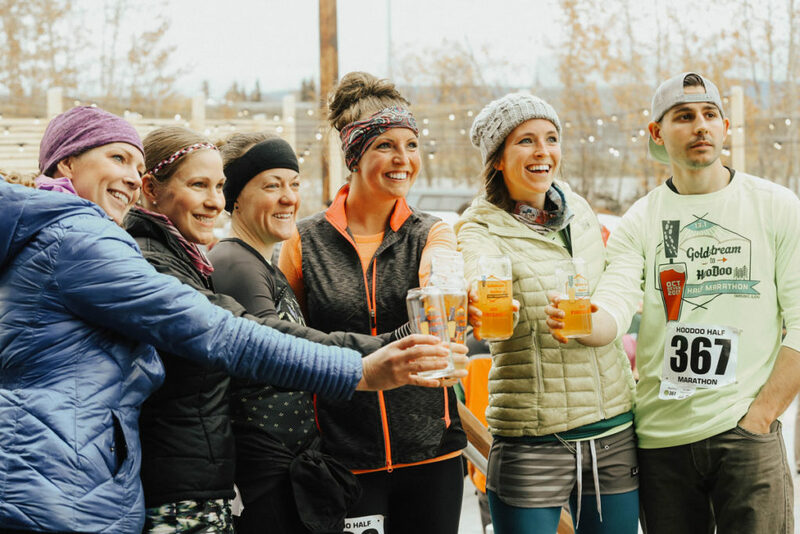 Half Marathoners earned their beer during the post-race party at HooDoo. On Saturday October 13, 2018, lay down some miles while earning your beer! Last year over 600 runners, walkers, and joggers signed up making the HooDoo Half the largest half marathon in Interior Alaska. We’ve teamed up with the experts at Goldstream Sports for not just any, average fun run, we’re bringing you the best, hoppiest footrace around!